Every course has main modules, and supplemental modules. 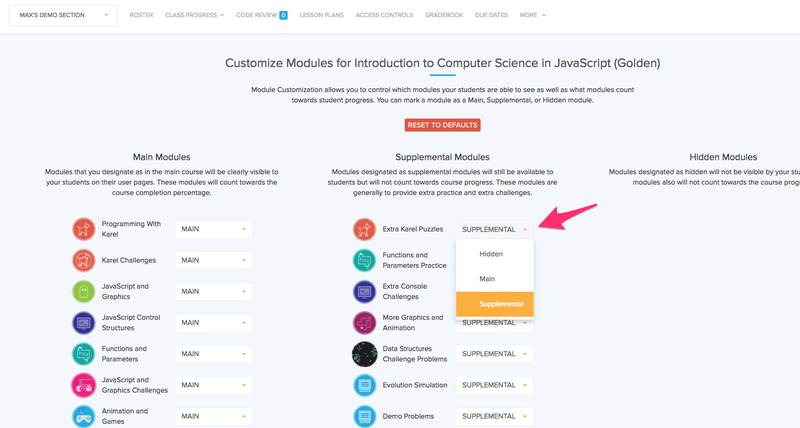 By default the main modules are those that we have pre-selected to be in the main part of the course, but as a teacher you can customize which modules are in main vs. supplemental. The Due Dates tool currently only shows the main modules in a given course, so if you want to use this tool with the supplemental modules, you'll need to change those to be main modules. 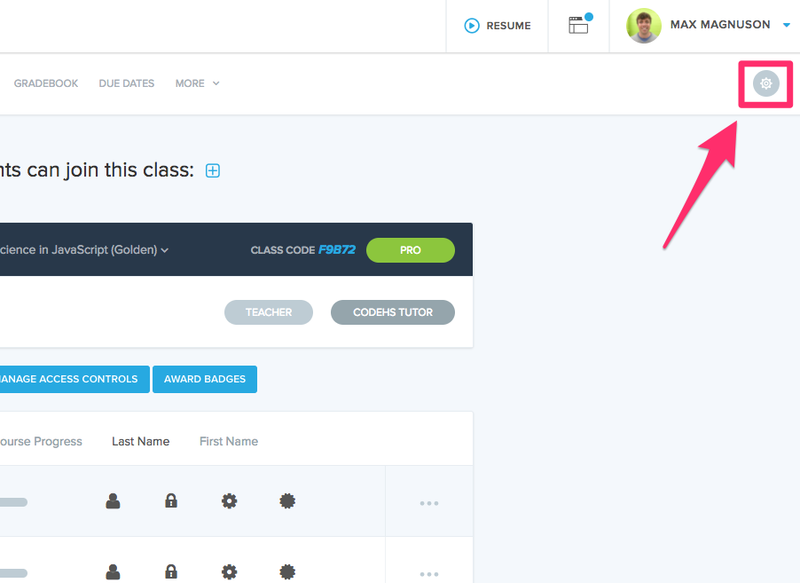 First, open up the class you want to change your settings for, and click on the "Class Settings" gear icon in the top right corner. Next, scroll down to the Toolbox Settings section of the page and click "Configure" next to Course Customization. Once on the course customization page, you'll be able to choose which modules you want to be Main, Supplemental, or Hidden. Again, only main modules will appear in Due Dates. 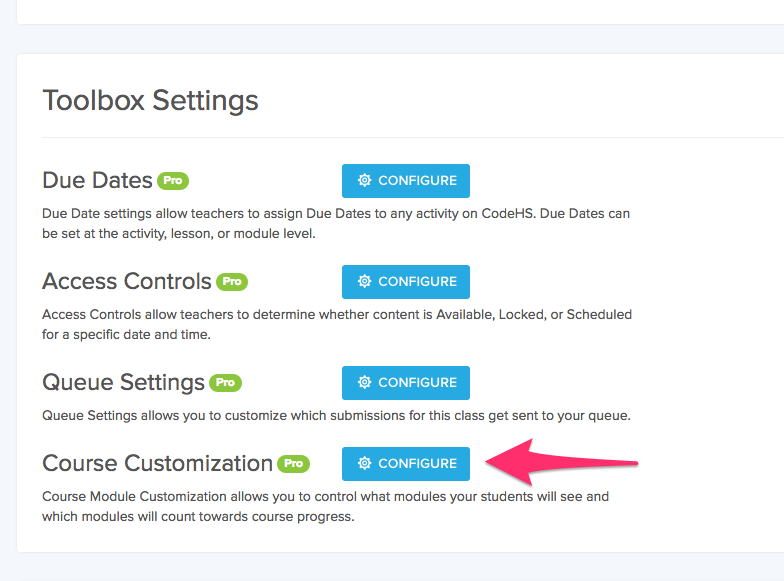 Due Dates and Course Customizations are only available for CodeHS Pro customers. If you would like more information about CodeHS Pro, visit codehs.com/pro or email our team at hello@codehs.com.